A night of kirtan, music, stories, and fun! Learning to sing and open the heart can have a profound effect on our mind and environment. Come listen to beautiful music and ancient Sanskirt and Buddhist Mantras. Sing along with us on this night of kirtan and also hear inspiring tales of Yogis and their trials on their path to enlightenment. ○ Who wish to learn the art of Kirtan singing or chanting and establish a daily practice. ○ Who wish to empower themselves through song to work through or release tension in everyday lives. 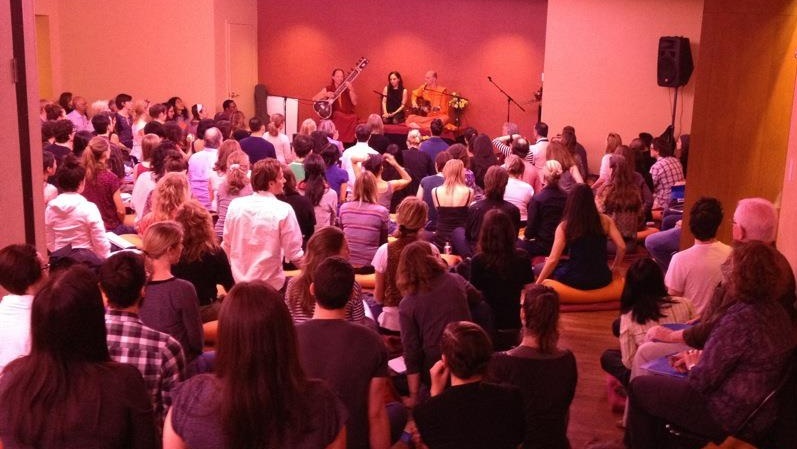 ○ Give those interested in Kirtan chanting an opportunity to connect with others and experience the joy of song in a positive group setting. ○ Enjoy an evening of music, song and stories from Ancient India and connect with like-minded individuals.